Money and opportunities can be lost with excessive marketing time because, when an overpriced listing languishes on the market, agents and buyers wonder what’s wrong with it. That might discourage agents from showing it, and might encourage buyers to make a low offer. An unusually long marketing time can attract bargain hunters who specialize in lowball offers and hardball negotiating. Buyer’s agents might use the overpriced property to demonstrate the value of other listings. When that happens, the seller becomes falsely encouraged by all the showings. Sellers with overpriced listings won’t know a good offer when they see it, because a fair offer will seem too low compared to their asking price. Lastly, the sellers’ lives are needlessly disrupted and their nerves strained by showings that will not result in a sale. When you are making your weekly mini-counseling call, tell the sellers about other agents’ opinions of value, even if they are low, and buyer feedback, even if it’s negative. Do this tactfully and with empathy, but be assertive. The sellers need to face the realities of their problem. Use more comparables, and include expired listings to show that some properties fail to sell. Even though they value your opinions, some sellers need more data as evidence. Calculate the income a buyer would need to earn to qualify for their property, even at a competitive market value. Your sellers might find that a sobering revelation. In fact, the sellers might not qualify to buy their own house with a minimum down payment. Whenever you make your mini-counseling call, ask them if they want to make a price reduction. If no, that’s fine. It’s your job to ask, and their job to decide. But ask every time you call. If they don’t at least consider that their property might be over-priced, they’ll just blame you for it not selling. Explain that buyers will usually not make an offer if the property seems more than a certain percentage out of line with other comparable properties on the market. Your local MLS might have statistics to show the average difference between asking price and actual sales price for sold listings. Explain that even if the property does sell for more than the market value your CMA indicates, the lender’s appraisal will cause the sale to fall through. Valuable marketing time will be lost. Explain that competitive pricing is the main marketing tool for any product. 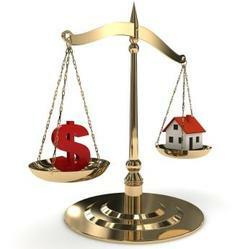 A price higher than the competition’s will result in fewer or no buyers. The hard truth is “home sweet home” is just another commodity, like every other real estate property on the market. Explain that they have their house just the way they like it, and they have adapted to it. But buyers will find compromises they will have to learn to live with; or spend the time, energy, and money to change. Explain that sellers sometimes arrive at an asking price by adding up features (like the new central air-conditioner, a triple garage, the swimming pool), but buyers determine value by reacting to the overall package being offered (like condition, location, floor plan, decorating, amenities, neighborhood appearance). The above points of view must be discussed in a tactful, respectful manner, but, above all, they must be talked about if you want to help the sellers sell their property.